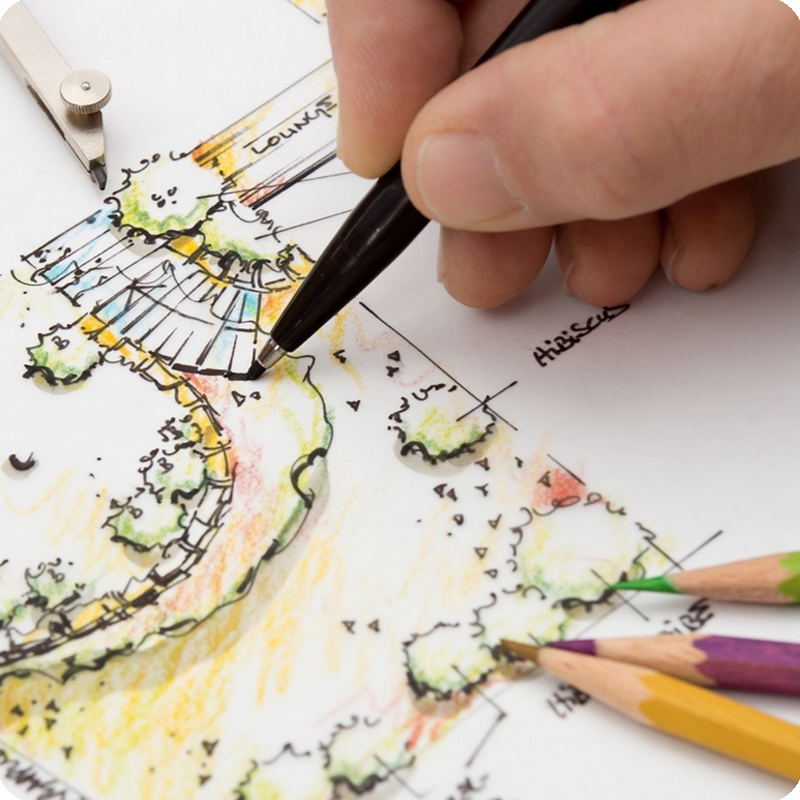 We have over 15 years experience in garden design & landscaping. We were awarded a Gold Medal by the Royal Horticultural Society in April 2016 for our show garden at the RHS Spring Flower Show in Cardiff. 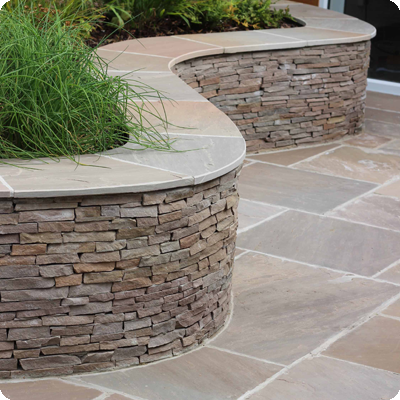 From traditional brick walls to elegant curved stone walls. 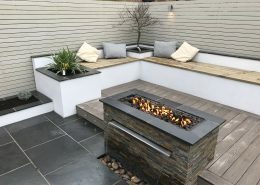 Contemporary sawn granite paving with its crisp clean lines to rustic riven sandstone and slate, our skilled tradesman can create any stone features imaginable. 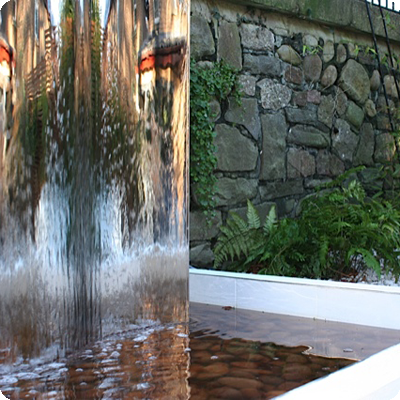 A water feature is a stunning addition to any outdoor area at home or at your business premises. 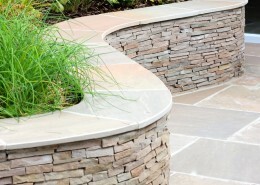 Alfresco Landscape & Garden have experience designing and installing all types of water features. 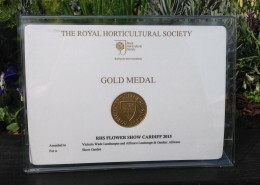 RHS Gold Medal winners at RHS Cardiff 2016. To date we have built 8 award winning ‘show gardens’ of which 3 have won ‘Best in Show’ and a ‘Favourite small garden’ at Gardeners World ‘Live’ at Birmingham NEC. Take a look at one of the show gardens being built for RHS Cardiff Flower Show 2016. West Meets East is Best Show Garden – Congratulations to Gaynor Witchard Garden Design and Alfresco Landscape & Garden whose garden West Meets East has won silver-gilt and Best Show Garden at Cardiff. Many thanks, it all looks very good and such a relief to be so tidy for the weekend. That is also much appreciated. I am very pleased with the work, however I should also like to thank you for your professionalism and integrity, a rare thing these days. Cheers Paul and thanks again for everything. You have a first class team and an extremely professional business with an amazing end result. 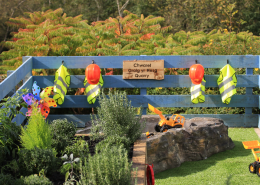 We would like to say a big thank you to Alfresco Landscape and Garden for all the help you have given us in our school grounds. You have enabled us to set up a Forest School site where children can access the outdoor environment in all weather. The area is now much easier to use and the children are far safer. The paths and steps that you have built will be very easy to maintain and they are much more user friendly than what we had before. This is just a quick note to thank you so much for the completed work on our garden. Paul and I are delighted with the final results. Gaynor was right to suggest using Alfresco, as the final outcome was as exciting as the initial plans created by her. Your team were professional at all times, and worked in difficult conditions, due to restrictions on space. Thanks again for such a good job, we are very happy with the work. The fence looks fantastic. A huge Thank You for the excellent job you have done on my garden. The compliments have been endless from visitors on seeing the end result. A professional, friendly and 100% quality throughout the project. My husband and I have now gained a wonderful outside area and new friends. Thank You.